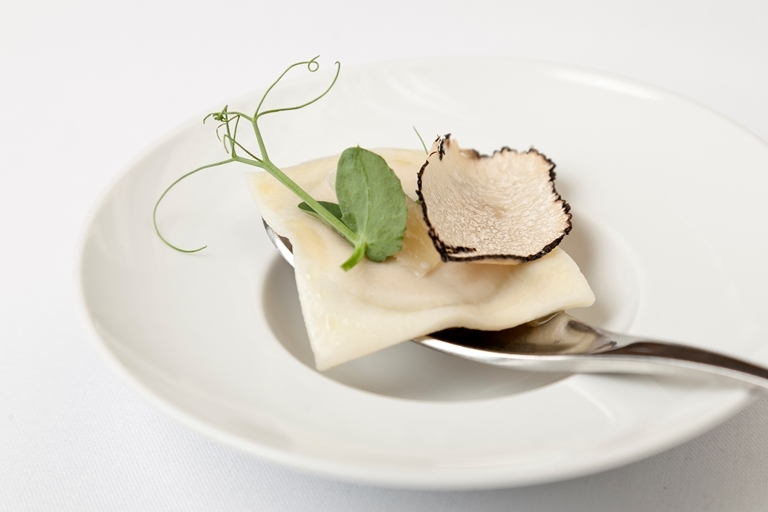 The combination of fresh truffle and warm truffle ravioli provides a rich explosion of flavour in Steven Drake's recipe. To make it vegetarian use vegetable stock instead of chicken stock, replace the gelatine with extra agar agar and omit the Parmesan. Steve Drake started cooking while attending South End Technical College. Only a few years later, he started working his way up the ladder at The Ritz and earned a prestigious Roux Scholarship. Now he cooks at Sorrel, a modern British restaurant in Dorking, Surrey.